I’ve seen it, I’m still not honestly sure I believe it. This thing is a beast. Where do you even start talking about a laptop that is in limited production and costs more than some used cars? A laptop that comes in its own custom hard-shell case. A laptop that requires two power bricks to bring it to life. 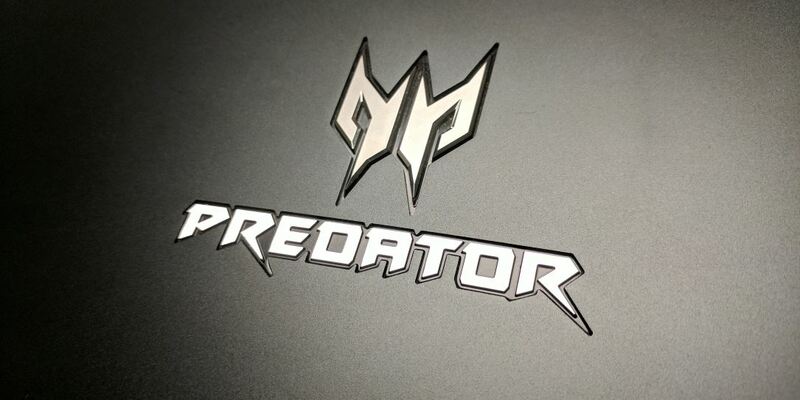 The Acer Predator 21X is quite possibly the most ridiculous laptop ever created. Keep reading to see what it’s like to use this beast. This is going to be a recurring theme in this review, but everything about this laptop is huge. 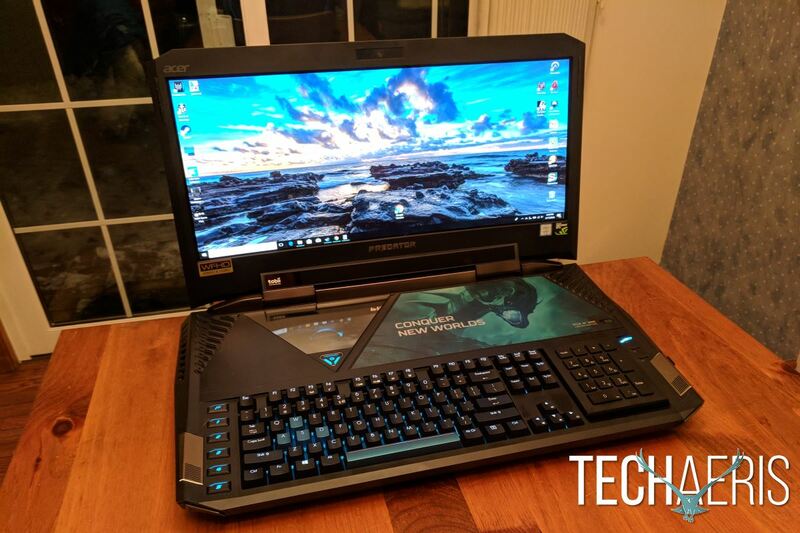 The Acer Predator 21X was kind of the beginning of some of Acer’s current design decisions on other hardware. The Predator 21X has influenced both monitors as well as laptops and gaming PCs. The more aggressive and angled lines have definitely made appearances in other Acer hardware. The first thing you’ll undoubtedly notice is how freaking huge this laptop is. Sure, reading the specs you’d have to expect that this is going to be a beast, but it’s really even bigger than you probably think it is. It’s big, it’s heavy, and it’s definitely aggressively styled. The lid has the Predator name mark and logo, along with two angled lines close to either side of the lid. 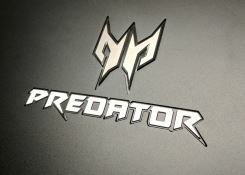 Those lines, as well as the Predator logo, are lit blue and give off a clean exterior look on top. Even the case is gigantic. Banana (and curious dog) for scale. Moving to the sides, there are large angular vents that expel heat, helping to keep this laptop relatively cool. You’ll find two USB 3.0 ports along the right side, and two more USB 3.0 ports on the left along with mic and headphone 3.5mm jacks and an SD card reader. Each front corner is also angled with more venting. The back of the laptop includes an HDMI port, two DisplayPort outputs, a USB Type C/Thunderbolt 3 port, a collapsible RJ-45 (Ethernet) port, and two DC power ports. Yep, this beast needs two power bricks to run. It’s ridiculous. The bottom includes more venting and fans as well as a pair of bottom-firing subwoofers. Opening up the lid doesn’t reduce any of the ridiculousness at all. It might even add to it. The curved monitor is absolutely impressive. There are relatively large bezels around the outside, but really, you’ll need some material to support this giant screen. 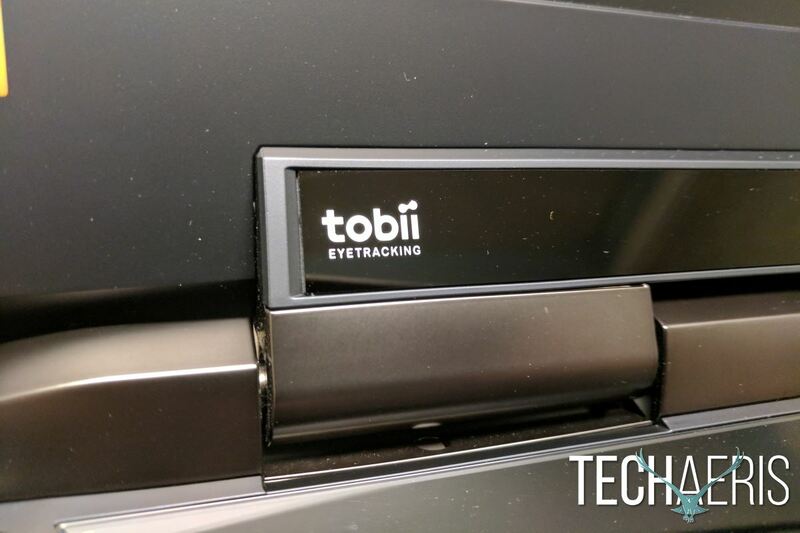 Underneath the screen, you’ll see the integrated Tobii eye tracking sensor just above the large and strong hinge. Moving down to the body of the laptop, you’ll see more angular cutouts for the speaker tweeters on either side of the laptop. The front corners include the mid-range speakers, each of which is labeled with the Dolby Audio word mark and logo. 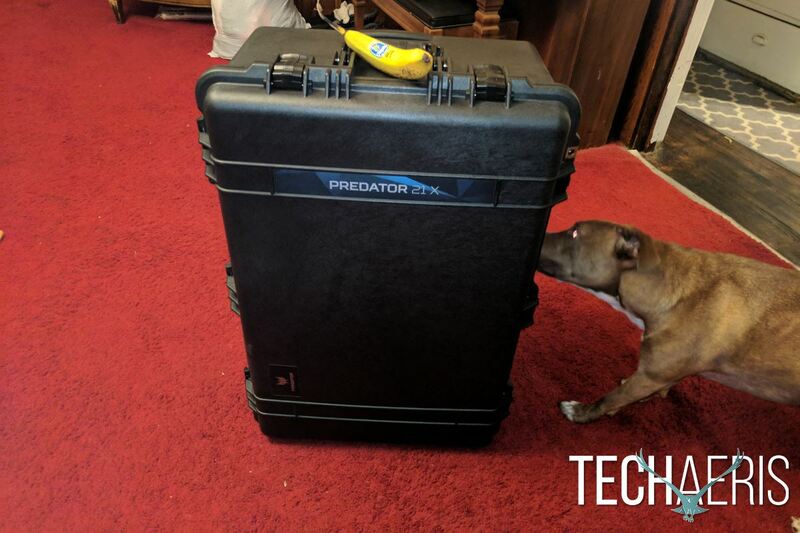 The second layer in the case holds all of the accessories and power cables for the Predator 21X. Just below the hinge, you’ll find a relatively large open area. Considering how big the monitor is, you’ve got to fill space somehow. More angled lines break up the various parts of this area. From left to right there’s a pretty plain black triangular area. Another upside-down triangle is to the right, though that is a mostly clear view into the body of the laptop, showing off the fan for one of the video cards. The tip of this triangle houses the power button, which is conveniently also triangular. The remaining top area includes a removable and customizable plate that gives access to the system RAM and one of the SSDs. Last, but absolutely not least is the full-size mechanical keyboard. The keyboard includes Cherry MX Brown switches for a comfortable typing experience. To the left of the keyboard are a total of 6 function buttons. To the right, a combination keypad/trackpad that can be flipped over and hot-swapped as needed. 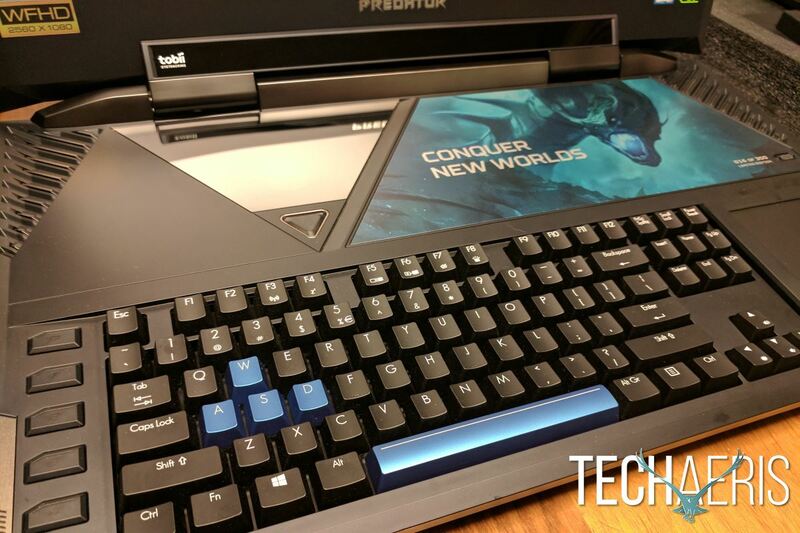 Yep, full size mechanical keyboard on a laptop… this thing is nuts. It’s hard to talk about the design here without also mentioning its custom Pelican hard shell case. The case is giant, and holds the laptop, power bricks, power brick mount, cables, included keyboard wrist rest, and everything else that comes along with the laptop. This really could be said about nearly any individual part of the Predator 21X, but how many of you would have thought you’d ever see a 21” curved 21:9 display on a laptop? It’s impressive, to say the very least. Since it sits just slightly lower than you’d probably otherwise place a monitor, it somehow feels just slightly smaller than it is, though it does provide a very immersive experience being that much closer to you. The screen is big, bright, and curved… on a freaking laptop. The display itself is crisp and clear, with good color representation. Games and videos look spectacular, though part of that is certainly the hardware under the hood allowing for everything to run with crazy high levels of detail. Acer obviously knows a thing or two about monitor technology, as we’ve come away impressed with their screens in the past. It stands to reason that they’d include something special on this machine simply because they could. If you want to be really picky, it might have been nice to see a slightly higher resolution on a $9,000 laptop, but the included Wide-FHD display is still truly impressive on this laptop. This is perhaps the one area on this entire laptop where its description is really just fairly pedestrian. We’ve talked at great length in previous reviews about Windows 10, and it works as one would expect here. Unless you’re building your own PC, you’re going to run into the dreaded bloatware. Even on this, the most ridiculous of laptops, you won’t be able to escape. 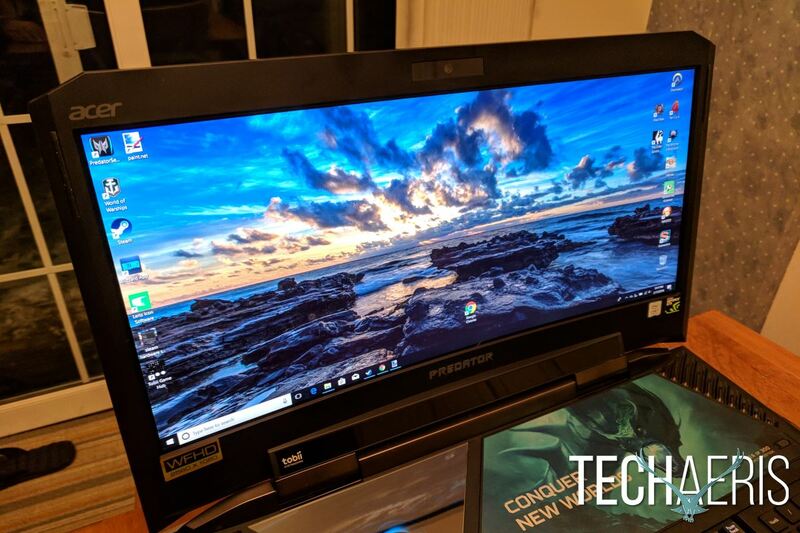 Thankfully, Acer has kept it to a dull roar, with some of the standard types of game placeholders and app suggestions as other major PC manufacturers. 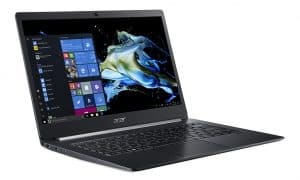 You’ll also find a suite of Acer specific software which is likely to be more helpful if you’re already in Acer’s ecosystem and are comfortable with their software. Either way, most everything can be uninstalled or dismissed if you really don’t want it taking up space on your Predator 21X. PredatorSense is one piece of software you’re not going to want to remove. One set of software you won’t want to remove is the PredatorSense control panel. 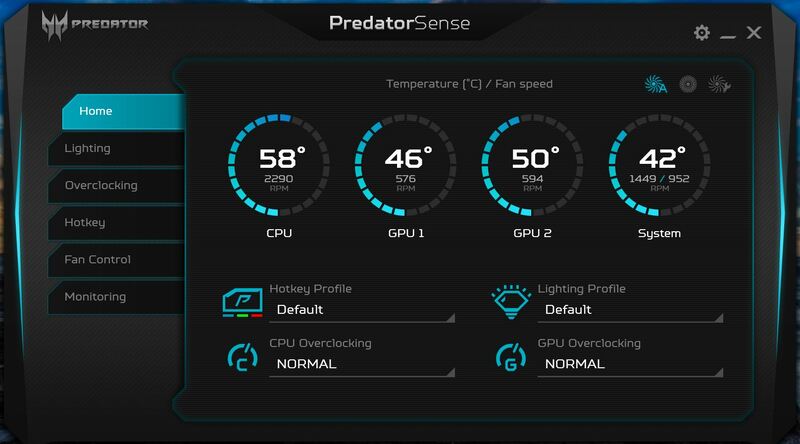 PredatorSense allows you to tweak basically anything you’d want about this PC, including keyboard lighting and keybinding, Hotkeys, Overclocking, Fan Control, and a Monitoring screen to make sure everything is running smoothly. 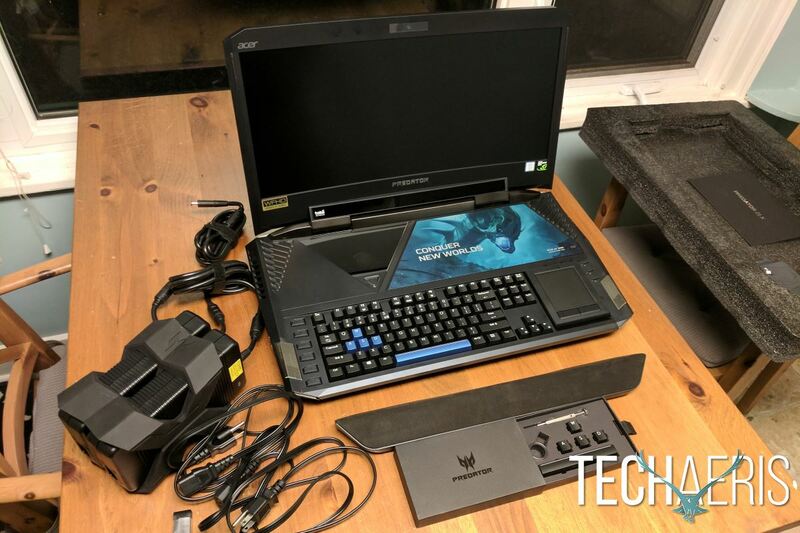 When Acer first announced the Predator 21X I had a very simple way of describing it: imagine some of the best computer hardware you can think of, take two of them, and cram it all into a laptop. Now, while some of the included hardware is ever so slightly dated at this point (NVIDIA releases new video cards all the time, but a pair of GTX 1080s in SLI is still incredibly solid) it’s still a complete and utter behemoth when it comes to running anything you could possibly want to run. If you read the specifications list above you already know that this thing is completely crazy, but it actually lives up to the hype here. Everything I threw at the 21X was just buttery smooth. I’m not one to throw out a bunch of benchmarks or test results and numbers, but one quick/easy one I could find was on Overwatch. Epic graphics settings, everything maxed in performance, and I could still easily pull over 100 frames per second. Nearly every game I played ran without a single hiccup, though of course as I’ve mentioned in other beastly gaming PC reviews Skyrim Special Edition doesn’t seem to want to run completely properly on anything, but it was almost entirely playable on the 21X. Its problem here seemed to be the 21:9 aspect ratio. My recent gaming obsession, Subnautica, looks even more spectacular than usual, with lighting and shadowing effects that just don’t come out on my current PC. Subnautica looks fantastic even on my PC, but on the Predator 21X there is just an extra level of polish that really looks incredible. Further adding to the complete insanity is the full-sized mechanical keyboard. You’re getting Cherry MX Brown switches here for a slightly less-clicky sounding switch which still works really well for gaming while still being quite comfortable and responsive for typing. The included touchpad/keypad combo is really quite accurate, though you’ll likely just want to leave it in keypad mode and use a separate mouse. Trying to scroll all the way across that giant screen with the touchpad is just a bit too much. It really shouldn’t come as any surprise that the combination of hardware was just a pleasure to use for its intended purpose — gaming. For the ridiculous price you’d be paying, at least the hardware should be formidable for the foreseeable future. Speakers on most laptops are pretty forgettable, though that’s not the case here. 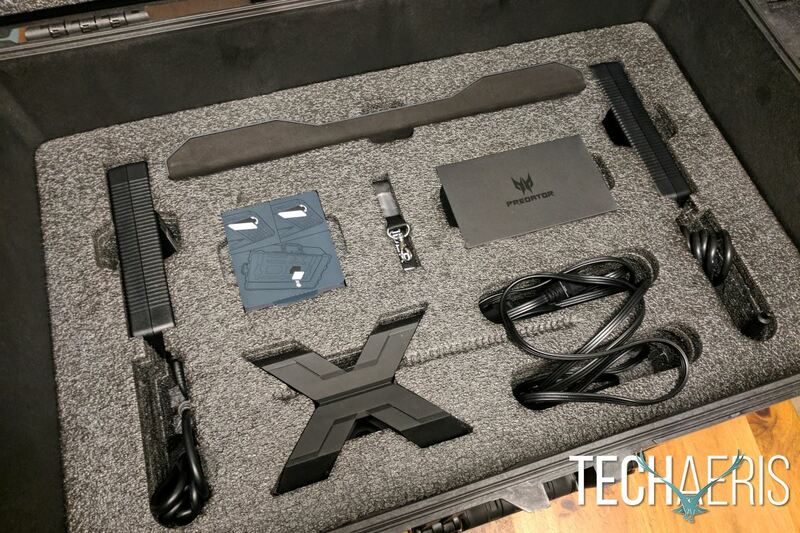 You’ll still have a better overall experience with a good pair of headphones or an external pair of powered speakers, but you’ll be pleasantly surprised by the sound coming out of the Predator 21X. Including two tweeters, two mid-range speakers, and two woofers, you’re getting a much better shot at decent sound than your standard laptop. But of course, as you well know by this point, this is absolutely not your standard laptop. One main thing you’ll notice is that these speakers still sound pretty good at higher volumes. They’re absolutely adequate for some gaming or even music and video watching. Headphones will still give you a more immersive audio experience, but considering what you get on most normal laptops, this is definitely a refreshing change. The webcam here is relatively standard fare, but as with most every other part of this PC, there’s something more to be excited about. Here it’s Tobii eye tracking, which adds an additional element of control to the games that you’re playing. It doesn’t replace your keyboard and mouse or your controller, but it allows you to add an additional layer of control to the games that support eye tracking. Just over 100 games currently support Tobii eye tracking, including Assassin’s Creed Origins, Deus Ex: Mankind Divided, Rise of the Tomb Raider, and Slime Rancher, among others. Tobii eye tracking is a really cool addition here. Effects will differ by game, with newer games such as Assassin’s Creed Origins offering more by way of eye-tracking elements, including Aim at Gaze, Enemy Tagging, Lock Target at Gaze, Interaction at Gaze, Extended View, Dynamic Light and Sun effects. Even messing around with the included demos will show you exactly what Tobii eye tracking can do, and it’s really pretty impressive. Aim at Gaze is fantastic for games that support it, allowing you to lock on incredibly quickly and easily. Options for Windows are also available, including navigation via glance, and computer lock when you’re away from your computer. I really wouldn’t bother. Sure, it’s a laptop but you and I both know this isn’t a device meant for your lap or for portability. Its custom Pelican case won’t fit any airline carry-on size guidelines, and it’s heavy. Just keep this guy plugged in on your desk, or plugged in wherever you take it in its giant case, and you’ll be happier than with the literal minutes of battery life you’ll get trying to play a game while unplugged. You can probably squeak in a few hours if you’re doing lighter computing — battery life lists at exactly 2 hours when unplugged at full charge and doing nothing — but if all you’re doing on the Predator 21X is lighter computing, you’re doing it wrong. In reality, coming in at just under $9,000 USD, I can’t help but think it’s all but impossible to really recommend buying the Acer Predator 21X, especially considering it’s a limited edition machine with its available numbers dwindling. 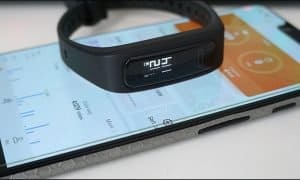 Now, if money’s not an issue and you want a truly unique and impressive piece of hardware that’s a real conversation starter, heck yeah go buy one right now! But for most of us, this is really just an extravagance that likely isn’t attainable. Good news though, you can build a comparably equipped PC for a fraction of the cost. This is a truly impressive (and large) machine. 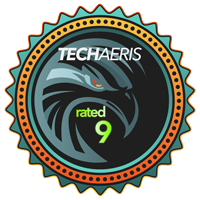 *We were sent a review unit of the Acer Predator 21X for the purposes of this review.